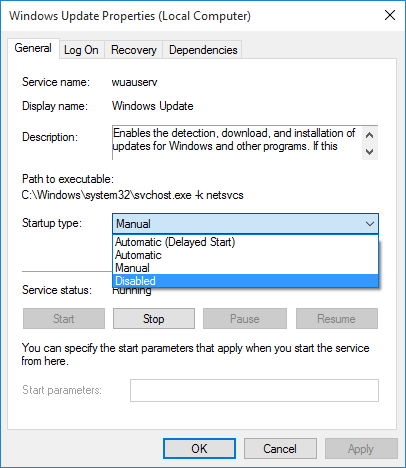 No direct way to stop Windows 10 update from automatically downloading Windows update files from Control Panel or Settings. But there is a way to turn off Windows 10 updates. In earlier version of Windows its very easy to enable or disable Windows update. People want to turn off Windows 10 updates because it download and install update when working on something. Automatic Windows update slow down internet browsing, slow computer in some cases. But Windows 10 enterprise users can hold or delay updates. Home and Professional users doesn’t have option to stop, delay, or turn off Windows 10 update. To stop Windows updates being started automatically proceed from here. 1. Go to Control Panel > Administrative Tools. 2. 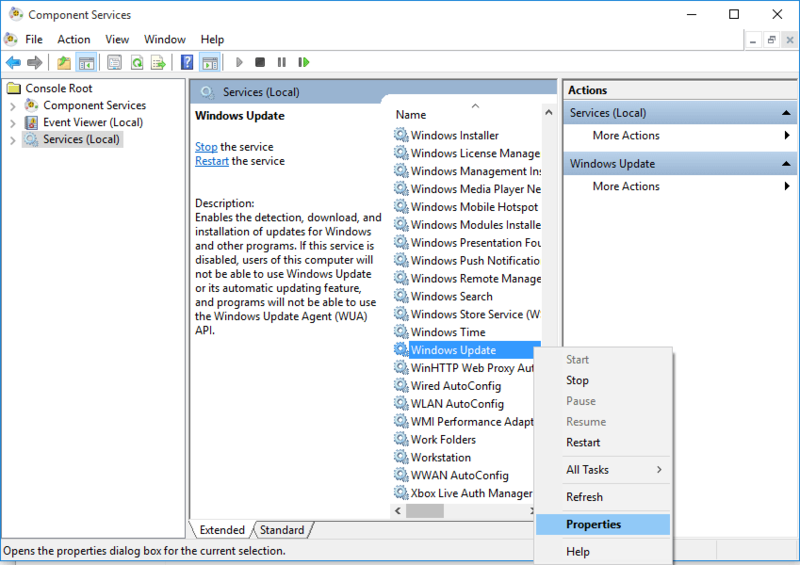 In Component Services > Services (Local) scroll down to Windows Update. 3. Right click on it & click on Properties. 4. Select Disabled in Startup type. 5. Hit OK button of window. But in some time you may need to keep updates to be installed in your Windows 10 for features and security updates etc. Then you need to turn on Windows 10 update service to download and update your copy of Windows. After Windows Update turned on you need to check for available updates to be downloaded and installed. Until computer is up to date try checking for updates. After computer is up to date again you can turn off or stop Windows 10 updates in your Windows 10.